Last Friday two teams of year 7 and year 8 students competed in the 'Lightning Tournament' at King Edwards Edgbaston. As the name would suggest the tournament was of a quick play format, with rounds of length 10 minutes consisting of 2 games each of 5 minutes, with players alternating colours between games. 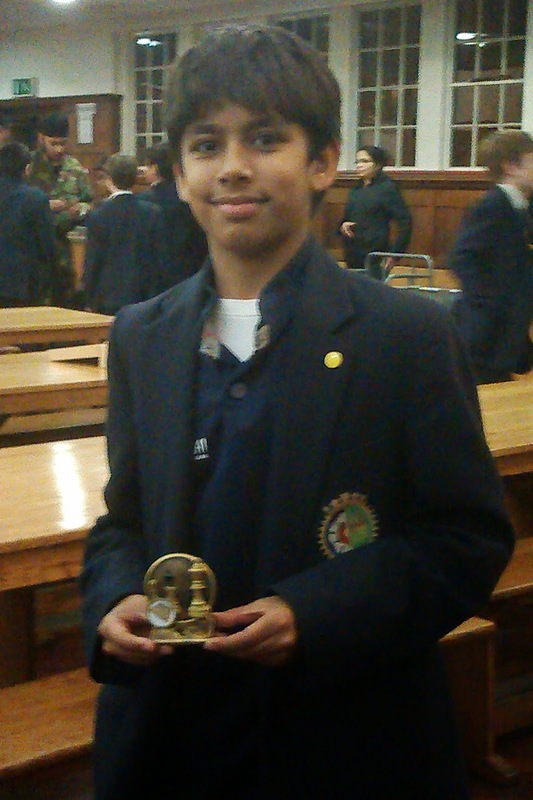 The competition was certainly tough, however, most QMGS players managed to win at least 1 game in what would prove to be a very sharp introduction to competitive chess. Special mention to Rohan and Saif of year 8 for winning 5 out of 8 and 4 out of 8 games respectively and also to Jagpreet and Vishal of year 7 for winning 4 out of 8 and 3.5 out of 8 of their games. The first team start the new year with a win!